If I squint my eyes and sit near the heating vent I can almost imagine I'm in a tropical paradise. 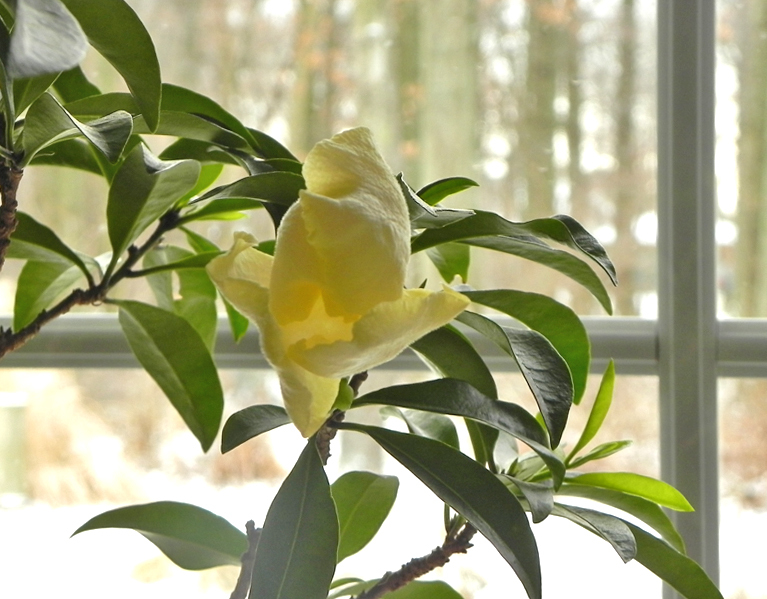 My Brunfelsia jamaicensis has accommodated me with its first open bloom. I've had the plant for a few years now and it hasn't grown that large, a good thing because I'm running out of room for indoor plants. It's pretty potbound but I think I will try to do a root prune on it to keep it in the same pot. It's a woody plant that blooms on old wood. 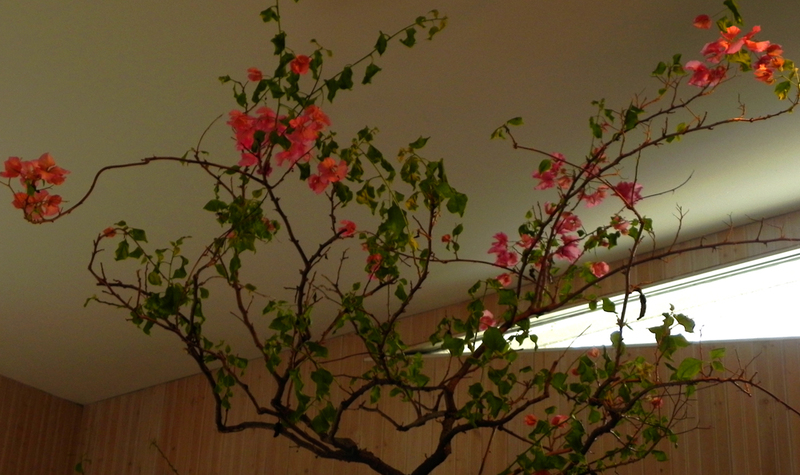 And speaking of old wood, the prickly Bougainvillea has never bloomed so much--even when it's outdoors in the middle of summer! It apparently is getting enough light in the back room and seems to be moving toward the window. I pruned it up to avoid the repeated stabbings I usually sustain throughout the winter from this thorny tropical. Perhaps next month I'll be able to report on Amaryllis blooms. But until then, I'm happy with my little and limited indoor tropical paradise. I grew a bouganvillia for a little while. Not long enough to learn it had thorns although I did get a few lovely blooms. 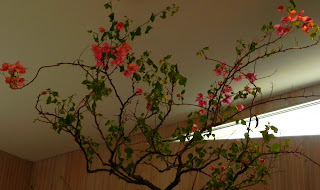 Oh that Bougainvillea is thriving - I never knew it had thorns either!